by Nina de Garis Davies. Published by the Egypt Exploration Society. 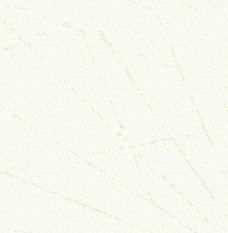 The history of the publishing of serious surveys and reports on archaeological work in Egypt goes back over a hundred years and the reports published by the Egypt Exploration Society (EES) are some of the earliest and the best in their genre, setting standards of quality and scholarship which are still being followed today. In recent years the EES held clearance sales of some of its earlier publications. The sales were by auction and were a rare opportunity for EES members to obtain reports otherwise very difficult to come by. There was a surprising interest in some of the volumes in particular, notably the limited number of the six-part set of books on the Rock- Cut tombs at Amarna, which ultimately changed hands for hundreds of pounds. Copies of these books occasionally surfaced in bookshops, but at prices prohibitive to all but the avid book collector. There were many disappointed bidders at these sales (including your Editor!) The Amarna Period has always been a popular subject. It is possible, as many readers may have done, to visit the tombs at el-Amarna. The walls are covered in fine reliefs typical of the Amarna period, but many of the scenes are badly damaged and others have sootblackened walls or are poorly lit, so making sense of the decoration is sometimes difficult. It was during the Nineteenth Century that the world first became aware of the Amarnan Period, chiefly through the tombs in Middle Egypt in the cliffs surrounding Akhenaten’s new city, Akhetaten, now known as el-Amarna. The tombs were studied and recorded by many, but the EES decided to conduct the first detailed survey and recording of the tombs, with line drawings being made of all the scenes by Nina de Garis Davies. The resulting publications remain a major achievements of the EES, making the scenes accessible all around the world and to those who could not easily travel to Egypt. In 2004, the EES, aware of the continued modern interest in these volumes, decided to have them re-printed, meaning that they would once again be accessible, and, most importantly, affordable. Barry Kemp (who has been excavating for the Egypt Exploration Society at Amarna for many years) has written a foreword to the volumes. As he explains, the drawings are not perfect. They tidy up the original scenes; the artist’s use of a ruler and firm outlines makes the scenes easier to read but does alter the character of the originals to some extent. Some scenes are omitted and Davies makes little reference to the colours of the scenes, although she knew the images could not be reproduced in colour and the scenes may well have been blackened by soot and dirt (many of them have been cleaned in more recent years). Despite simplifications, Davies did manage to capture well the style and subject matter of the originals, which means that her drawings are still widely used as a reference for the history and art of the Amarna Period. Whilst it would be possible today to produce a more accurate copy of the scenes, the cost and time would be considerable. The tombs themselves are not threatened by undue decay as are other tombs in Egypt, so the Davies plates, imperfect as they might be, are destined to remain the main reference scource for many years to come. Much of the information we have about the Amarna Period comes from the scenes in these tombs. The six volumes were published in a series from1903 to 1908. So, even though our knowledge of ancient Egypt has improved over the past hundred years, which can invalidate many early reports, are these volumes still valid today? The answer has to be a resounding yes. The drawings of the scenes are truly remarkable, and although a few of them are occasionally reproduced in other publications, to see the full set is important and a revelation. Most will be "new" to readers. The scenes are very detailed, and it is in this detail that the books really come into their own. They are large in format, with the drawings often spread over two pages. Each scene is truly worth of study, not just the formal scenes of Akhenaten and Nefertiti, but the wonderful views of the royal gardens, with their plants and ornamental pools. There are plans and scenes of the storerooms of the palace and the stables, views of the Aten temples, of agriculture and boats on the river – all the scenes of life in an Egyptian city one could hope to find and more, and as such, they are unique. For those interested in the inscriptions, these are reproduced in full, along with translations, so we can read the great hymn to the Aten, as written in the tomb of Ay, and the biographical texts of the tomb owners. Maps, plans and the original black and white plates complete these excellent books. If you have visited the tombs (or are planning a visit), then these books are an absolute must. If you are just interested in, or making a study of, the Amarna period, then you will find hours of splendid reading and images to enthrall and delight in the pages. The EES is to be congratulated in the work involved in reprinting these excellent books, to a high quality, making them more easily accessible to a new generation of students, scholars and enthusiasts. Parts I & II: ISBN 0 85698 159 1 – the tombs of Meryra, Panehesy and Meryra II. Parts III & IV: ISBN 0 85698 160 5 – the tombs of Huya, Ahmes, Pentu, Mahu and others. Parts V & VI: ISBN 0 85698 161 3 – the smaller tombs, the boundary stelae and the tombs of Parennefer, Tutu and Ay. by Joann Fletcher. Published by Hodder & Stoughton. ISBN 0 340 83154 5. With all the publicity over the claim by the author that she had discovered the long-lost mummy of Nefertiti, this book can truly be described as "eagerly awaited" by many (in the hope that it would contain more information than the Sunday Times Magazine article or the television programme). This is a book which will appeal to two completely different audiences, and this presents problems, as I am not sure if either will be completely satisfied. The television series was watched by thousands, many of whom will have had no previous interest in ancient Egypt and who may have heard of Nefertiti, but know little about her. There is a great deal in this book which will appeal and be of interest to an absolute beginner – so we can read about the author’s first and subsequent trips to Egypt, the story of how she became an Egyptologist and her interest in the Amarna Period. A desire to please the beginner might also explain the inclusion of some of the chapters, which cover "The Amarna Story", "Hair and Wigs and Ancient History", "The Rise of the Female Pharaohs", "The Dazzling Golden Age" (about the reign of Amenhotep III), "Life in the Royal City" and "The End of the Amarna Age". Much of this will be known to the enthusiast already and there is little if anything new here. To use the expression "padding" is probably a little unkind but the bulk of the book is all really background material and subsidiary to what should be the main thrust of the book. Thus it is not really until pages 358 to 381 (just 23 pages out of 452 pages) that we come to the chapter headed "The Scientific Expedition and its aftermath", which actually concerns the mummy of "Nefertiti". The author’s claim that she has discovered the identity of a neglected mummy still lying in a tomb in the Valley of the Kings was met not just with huge media interest and hype, but with astonishment by Egyptologists. Many of the points raised were discussed in AE at the time, but the "facts" as presented by the author, in articles and in the TV programme have all been questioned by other Egyptologists. 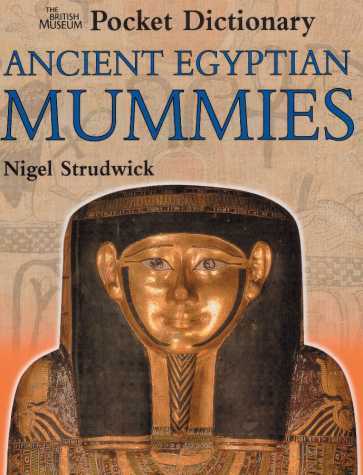 In fact the claim that this particular mummy might be Nefertiti had actually been made before by Marianne Luban in 1999, using similar interpretation of the facts, but this seems to have been overlooked in the book. Marianne’s article was called "Do we have the Mummy of Nefertiti?" and then discussed the issues. When news of Fletcher’s "discovery" reached the media the headlines were "This is the mummy of Nefertiti". The different approach, one posing a question, the other seemingly stating a fact is all-important. The debates and discussions were heated in Egyptological terms and resulted in the Egyptian Supreme Council of Antiquities refusing to allow the author permission to work in Egypt again. The arguments as presented in the TV documentary appear compelling, but the all-important words "possibly", "probably" and "might be" were omitted. Each of the "facts" presented could also be given an equally plausible explanation which would fail to prove that the mummy was Nefertiti, but this was ignored. The facts and their interpretation have been well discussed in the pages of AE, so I won’t repeat them here. In a TV programme the amount of information and debate that can be included is limited. There was reason to hope that the book would go some way to redress this, to present the arguments, both for and against, and then give a reasoned summary and interpretation. Sadly this is not the case. In the year since the first airing of the programme the author had a wonderful opportunity to present her case clearly and concisely and also to answer all the criticism that her "discovery" engendered. Far from being a scientific write-up from which we could all learn more, one gets the impression that the book was written quickly to cash in on the popularity of the TV programme. Perhaps the worst aspect of this situation is that the TV programme will be repeatedly aired, and the book will undoubtedly be a "best seller", so that many of the book’s readers will remain misinformed. For the more knowledgeable reader, the book does not answer any of the main questions posed. I would be happy to be convinced that the mummy of Nefertiti has survived (though there is no reason to suppose that this is necessarily so) but I would need a balanced view of the reasons for the identification, with facts that stand up to scrutiny. That has not happened. One can but hope that a full a detailed survey of the three mummies in the tomb of Amenhotep II is made soon, to clarify the position if possible one way or the other. There is one other female mummy there (known as the "Elder Lady"), and Nesta Cagier, in her book Amarna Royals: Who was Nefertiti argues that this particular mummy could be that of Nefertiti. Please remember, when a TV programme of a new investigation proving that theory is broadcast, and no doubt many more books are published on the topic, that you read it here (or in Nesta’s book) first. Another recent TV programme examined the case for a mummy being that of Rameses I (it has recently been returned to Egypt from the United States). This programme, by contrast, was a reasoned discussion with the all-important caveats, which came to the conclusion, that, having weighed all the evidence for and against, in all probability the mummy was a royal one, and that Rameses I was a likely candidate. Would that the Nefertiti programme-makers and the author had adopted this approach too. 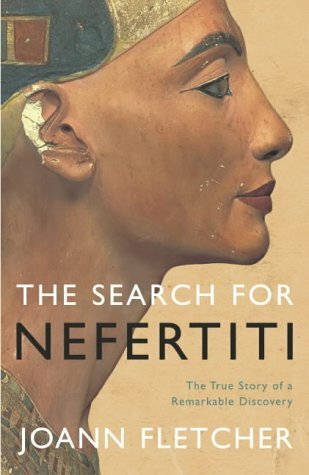 The Search for Nefertiti, by Joann Fletcher is in hardback and is priced at £18.99. Small in size (at just over four inches square) with a packed sixty pages, the price (£3) is small too. 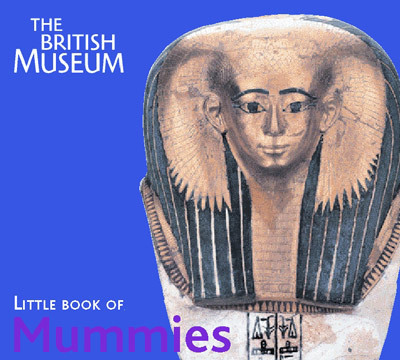 This is a beautifully illustrated book, with excellent photos of many of the mummies and coffins in the British Museum, along with a concise and informative description of each. Absolutely ideal for those with a restricted budget and limited storage space, and a great way for younger enthusiasts to spend their pocket money on a really useful little book! Price: £3.00. ISBN: 0 7141 5029 0. In a book with dimensions almost twice those of the "Little Book" (but with less pages) the author takes a slightly more detailed look at the British Museum’s mummies and coffins. 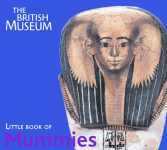 The book describes and illustrates most of the wellknown coffins and mummies, from the very earliest period right to the end of Egyptian history. Excellent photos and text make this another ideal book for the younger reader, or the beginner – or even the enthusiast. This is a really useful book to read before, during, or even after a visit to the Museum. ISBN: 0 7141 3105 9. Cecil B. 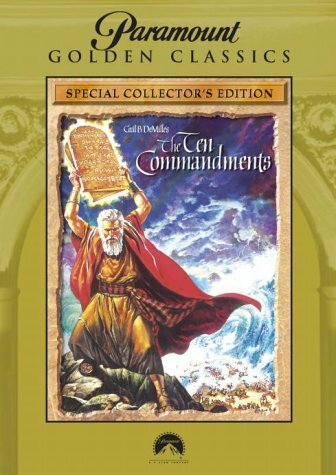 De Mille was in his seventieth year when he began preparations for his second version of "The Ten Commandments". Five years and twelve hundred storyboards later, with filming in Egypt and Hollywood complete, this most famous of the 1950’s all-star wide-screen epics was premiered to enthusiastic audiences. Now a special two-disc DVD is available and it is clear De Mille has achieved his aim of creating "a movie that will live forever". The original print, restored to its full Technicolor glory, comes with the added bonus of a six-part documentary feature that includes interviews with actor Charlton Heston, composer Elmer Bernstein, and other featured players and production personnel. There are three theatrical trailers too. Best of all is the excellent commentary by film historian Katherine Orrison, although her enthusiasm for the film and admiration for its creator does overlook the negative responses to De Mille and his style of film-making. You will find no references to the egotisical, autocratic disciplinarian here, and she is at pains to explain away historical inaccuracy, not by shortcomings in scholarship or research, but by De Mille’s sense of showmanship, together with an expert understanding of what the public both expected and wanted to see: De Mille knew ancient Egyptian columns were brightly painted, but he didn’t want the sets to detract from the actors’ performances; he was well aware camels were an anachronism, but it was his little joke. The challenge for Egyptology to overcome is that "The Ten Commandments", more than any other Hollywood epic, has created the most significant visual image of ancient Egypt in the popular imagination. The film is ranked amongst the top ten money-makers of all-time (if box office receipts are adjusted for inflation), and millions more have seen it on television. Perhaps this is surprising when you consider that the film was playing to cinema audiences side by side with the blockbuster "The Bridge on the River Kwai" (David Lean, 1957) which must have made the De Mille production seem hopelessly out of date, and out of touch, in a new age of complicated character studies and anti-heroes. Yet the film, with its director’s legendary signature themes of choreographic orgies and whippings, is brilliantly successful. De Mille makes no compromises in his vision by clearly setting the film apart from other cinema experiences, prefacing the screening by stepping forward to directly address the audience. The film truly exists in its own world of theatrical Victorian tableaux and the conventions of the silent screen: actors wear costumes to fit the emotional requirements of the scene, rather than any historical period; and a visual backdrop is created that has more to do with the landscape paintings of Edwin Longsden Long, rather than any archaeological reality. It all works brilliantly, with spectacular set pieces, like the Ethiopian tribute scene, the raising of the obelisk, the Exodus itself and of course the Oscar-winning special effects for the parting of the Red Sea for which the film is most famous. The acting is ideal for this grand arena too with a fine cast of leading actors (Anne Baxter, Sir Cedric Hardwicke, John Derek, Vincent Price, Judith Anderson, Edward G. Robinson etc) all near their career best; and particularly outstanding is Yul Brynner as Pharaoh who, like the rest of the cast, handles the formal dialogue with aplomb. No expense is spared and every penny shows on the screen. There are literally hours of interest on this DVD, especially when you re-run the film with the commentary. I eagerly rushed to buy it and enjoy it, and I recommend you do the same. Mark is an film enthusiast, especially interested in those featuring ancient Egyptian subjects. Reviews in the next edition of ANCIENT EGYPT will include: Alexander the Great by Alan Fildes and Joann Fletcher The film "Alexander" and Miss Brocklehurst on the Nile; Diary of a Victorian Traveller in Egypt.